Born in Port Elizabeth, Du Preez also represented the South Africa Under 20s side in 2011. The former Springbok Academy starlet played in the Varsity Cup for NWU-Pukke and the Leopards in the under-19 and under-21 Currie Cup. Du Preez previously played for Eastern Province Kings in South Africa where he made 23 appearances and crossed for 11 tries, as well as playing 16 times for the Kings in the 2013 Super Rugby season. In the 2013/14 season, Cornell signed for Edinburgh in the Guinness Pro 12, he helped the Scottish team to win the Challenge Cup in 2015. 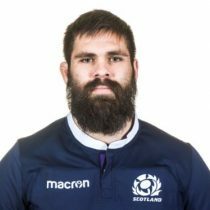 November 2016 he was called into the Scotland squad for the Autumn International Series as an injury replacement. Has figured intermittently at No 8 this season due to injury, but, when he has, he’s arguably been Edinburgh’s stand-out performer. Du Preez was selected into his maiden Six Nations squad in 2017 for Scotland. In February 2018, Worcester Warriors announced that Cornell has signed on a two-year deal from the 2018-19 season.